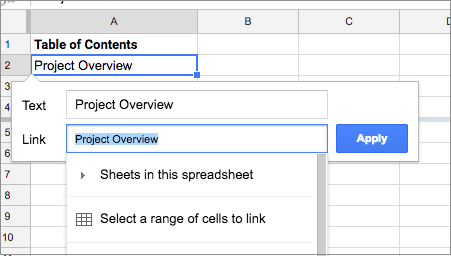 Because it can be difficult to navigate large and complex spreadsheets, we’re introducing the ability to link to specific cell ranges in Google Sheets on the web. With this new functionality, you can create a “table of contents” for your spreadsheet, direct others to specific content within your spreadsheet, and retain links to cells when you import spreadsheets from other applications. To link to cells in your spreadsheet, simply go to "Insert link" > "Select a range of cells to link" and type or highlight the desired range. For more details, visit the Help Center.